The nightgown combines minimalist contours with smooth lines. The design is simple and well-defined, and the details are refined on the neckline cuffs.There is no cliché big flower pattern, it is simple and clean solid color, suitable for women's soft body design. A single item, turned into a goddess.With a nightdress, it is like an elegant lady, moving like a lively girl. Only one glance, the sweetness of melting the soul comes to life. Orose home brand with the sophisticated and unique weaving process, the whole series use 22 momme silk fabrics, even exceed the EU infant standards, making silk home from ordinary products into extraordinary products. Good silk feels soft and silky. Compared with ordinary silk, silk feels very different. So it is not only 100% of the silk composition, but also to measure the softness and feel of silk. Machine-washable in lukewarm water (30°C) on most gentle cycle available. Minimize spin time.Hang dry if possible. Use neutral or special detergent for silk, such as Tenestar. P.O. Boxes and military addresses (APO, FPO) can be delivered. 1. 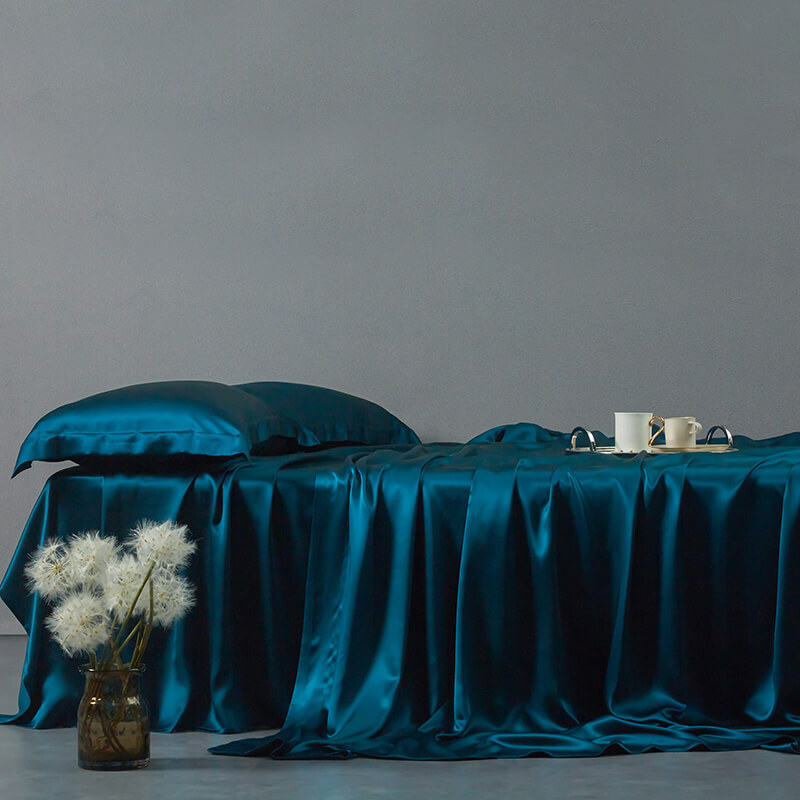 Silk is a type of natural fabric made from silkworm cocoons, while satin is a weave, which means that there are in fact SATIN SILK, although it's safe to say that 99% of the satin products sold on the market at low prices are not made with silk, but with polyester instead. 2. Usually, Satin pillowcases which haven’t mentioned silk are pillowcases made from some non-silk fabrics. They are much cheaper than silk pillowcases. 3. 100% mulberry silk pillowcases can be made of satin weave or charmeuse weave, silk fabric will bring people huge health benefits, while synthetic satin is rougher. Silk is a kind of ecological pollution-free natural fibers. With fiber and other processed products irreplaceable unique properties and incomparable exuberant vitality. Consumers will silk as the “source” of beauty. So, what are the advantages of silk products? Silk protein is a poor conductor of electricity, so it does not produce static electricity. And it also won’t gather dust caused by. It can be clean all the time, it can also effectively keep the hair style not disorder at the same time. Silk is highly similar to keratin protein’s structure in human body, which is widely used to make artificial blood vessels and artificial skin. And it will not produce allergy. Moisture absorption of silk is 1.5 times than cotton. Silk protein contains hydrophilic factor such as amino acids. Their porous features make the water molecular diffuse easily, so silk can absorb or emit water molecules.